If you’re a newbie attending the Women’s RTR at the end of the week or the RTR in the next two weeks, you may hear a lot of new terms. For the sake of public education, I decided to run this post from January 2016 again after revising and updating it. I hate lingo. When folks use specialized language, it feels like a separation to me–us vs. them. If you understand the specialized words I use, we have something in common and we are insiders. Those people over there who don’t understand what we’re talking about? They must be outsiders, and good riddance! I know lingo also makes communication easier for people who share knowledge. Like pronouns, lingo saves us from having to use full descriptions every time we talk. But lingo is often exclusionary, even if folks don’t mean to use it that way. In the interest of sharing knowledge, I will now explain some of the lingo I’ve encountered while living my life on the road. Airstream–A brand of travel trailer made from distinctively shiny metal, with curves instead of corners. I boondocked on this BLM land. Bureau of Land Management (BLM)–Government agency that administers public land, especially in the Southwest. There is so much BLM land where folks can boondock/dry camp for free. Boondocking–Staying somewhere (often public land) for free. Some people use boondocking interchangeably with dry camping, while others differentiate between the two and use boondocking only in relation to public land. 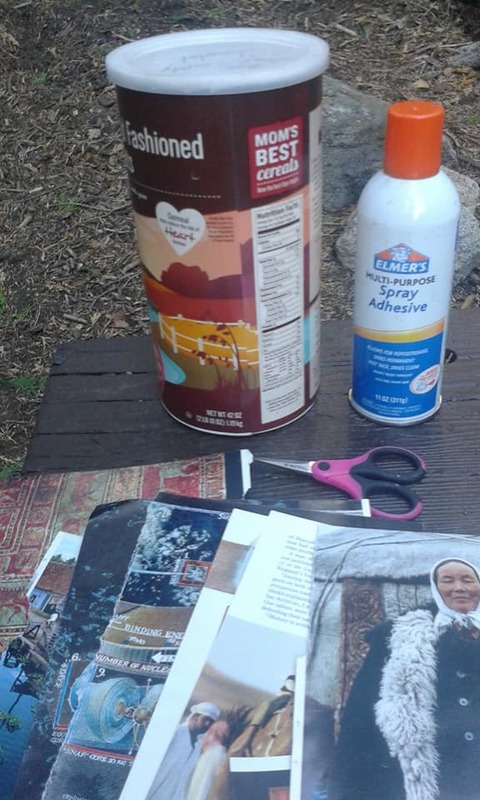 To learn all about boondocking, read my post “10 Fundamentals for Boondockers.” My friend Coyote Sue calls dry camping in a parking lot blacktop boondocking . Canned ham– A trailer, usually vintage, in the shape of a can of ham on its side. Casita–Brand of a particular style of lightweight travel trailer. *Class A—RV that looks like a bus with a flat front nose; motor home. *Class B–A van with the comforts (shower, toilet, kitchenette) of an RV. 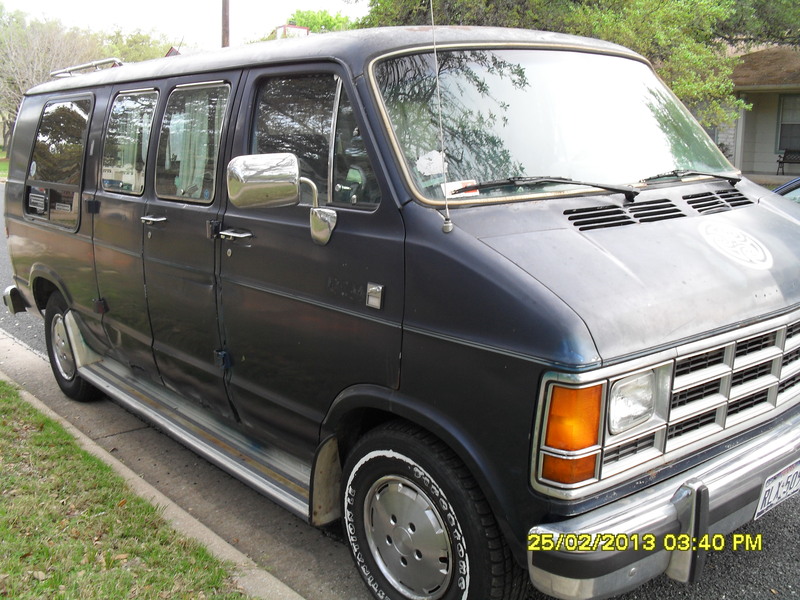 *Class C—motor home with a van nose and an overhead cab with a bed. CRVL–I saw this twice at the RTR and had no idea what it meant, until I saw it spelled out in tiny letters at the bottom of a sticker. CRVL stands for Cheap RV Living, a fantastic online resource for anyone living on the road, no matter what kind of rig is involved. There’s also a Cheap RV Living YouTube channel for folks who’d rather watch videos. 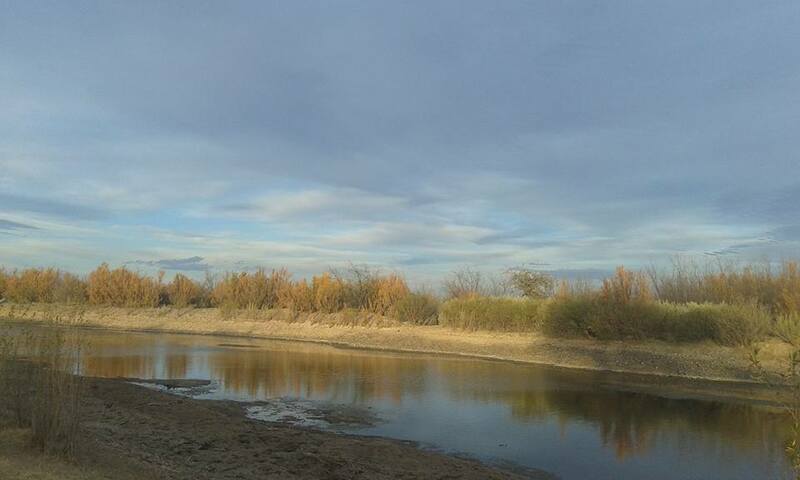 I did some dispersed camping on Bureau of Reclaimation Land in New Mexico, and this was the view of the Rio Grande from my campsite. *Dispersed camping–Camping on public land in places other than official campgrounds; sometimes called primitive camping or boondocking. 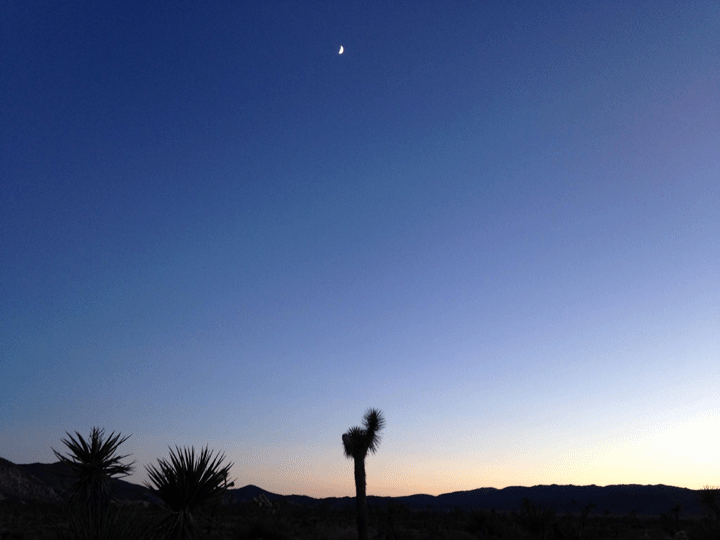 Dry camping–Camping with no hookups, sometimes used interchageably with boondocking. *5th wheel–Trailers which hook to a hitch in the bed of a pickup truck. 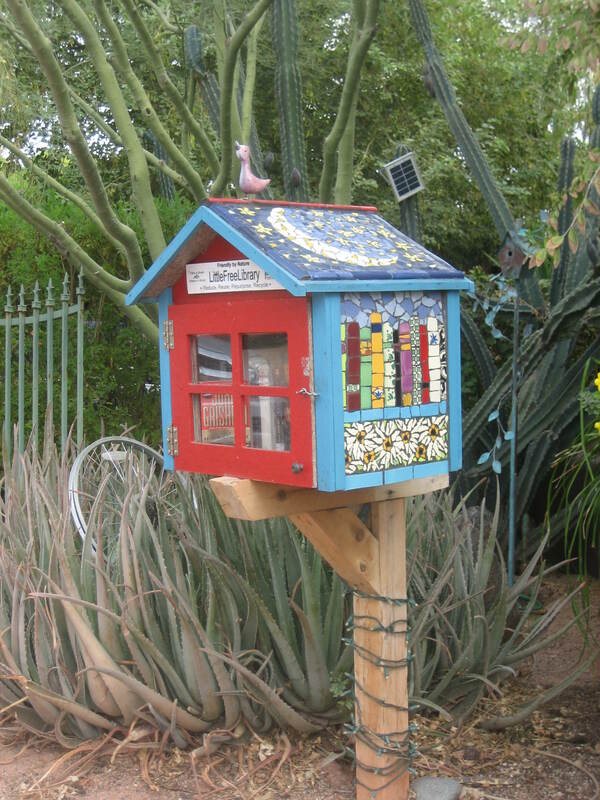 Full-timer–Someone who does not have a sticks-n-bricks house; someone who lives on the road all the time. *House battery–A deep cycle battery used to run household items in a rig. Motor home–An RV that has a motor in it so it can be driven; a motor home can be a Class A, a Class B, or a Class C.
Mr. Buddy–A brand of heaters which run on propane and are very popular with vandwellers and rubber tramps. Nomad–According to Merriam-Webster, this is a member of a people who have no fixed residence but move from place to place usually seasonally and within a well-defined territory; an individual who roams about. Part-timer–Someone who has a sticks-n-bricks house where s/he lives at least sometimes; someone who lives on the road sometimes, but also lives in a stationary home sometimes. Popup–A type of towed RV that can be collapsed for easy storage and transport. 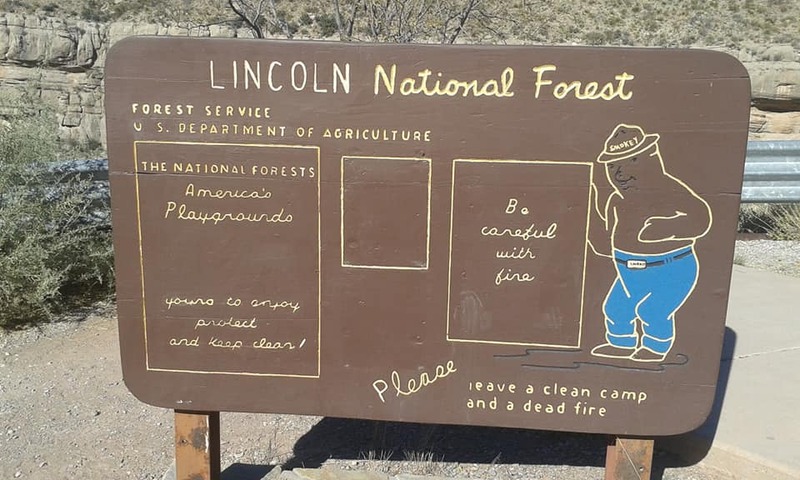 The Lincoln National Forest in New Mexico is public land. Public Land–Land owned by a local, state, or federal government. When rubber tramps and other nomads talk about public land, they typically mean land open to (usually free) camping. Public land can include city or county parks, fishing lakes, BLM land, Bureau of Reclamation Land, National Forests, National Monuments, National Recreation Areas, wild and scenic rivers, and national seashores and lakeshores. Primitive camping–Camping on public land in places other than official campgrounds. 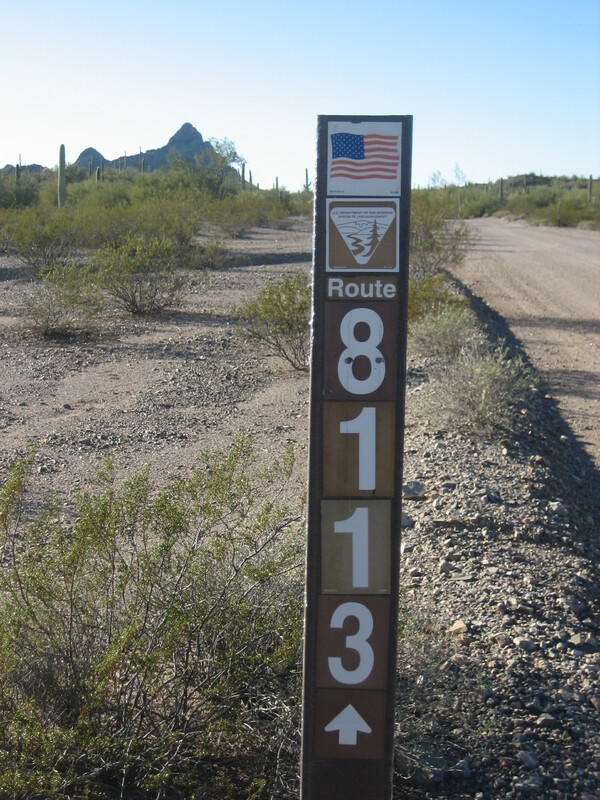 In primitive camping areas, there are no water, sewage, or electrical hookups and usually no toilets of any kind, no water, no ramadas, no picnic tables, and no metal fire rings. 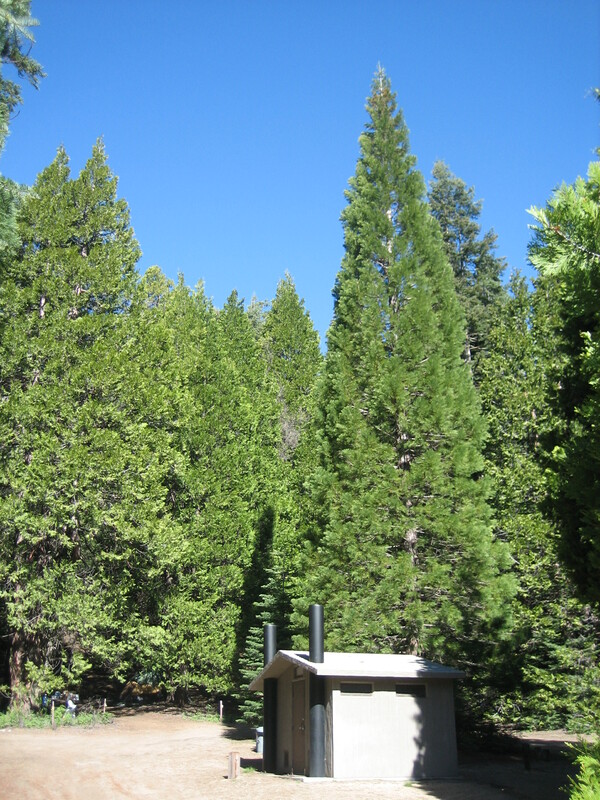 Primitive camping is sometimes called dispersed camping. Folks boondock or dry camp in primitive camping areas. This was my rig during one part of my life as a full-time rubber tramp/vandweller. Rig–What one drives and lives in. My rig is a conversion van. A rig can be a cargo van. A rig can be a pickup truck with a slide-in camper. A rig can be a car or an SUV. A rig can be a Class A, a Class B, or a Class C motor home. A rig can be a combination of a tow vehicle and a travel trailer or a converted cargo trailer or a 5th wheel or a tear drop or a popup. Rubber tramp–The Urban Dictionary says a rubber tramp is a “person who travels and lives out of their vehicle (normally an RV, van, bus, etc.). They stop and stay wherever they choose for however long they want, but eventually, so as long as there’s a way to put gas in their tank, move on.” Not all folks at the RTR would consider themselves rubber tramps. RTArt Camp–A camp within the Rubber Tramp Rendezvous, The RTArt Camp is a place within the larger gathering for nomadic artists and creative nomads to come together to share skills, create art together, have fun, and build community. 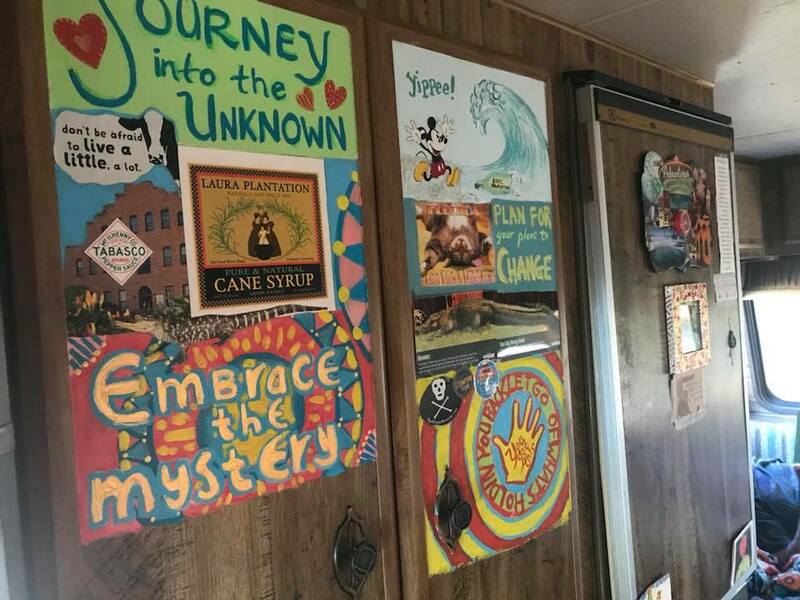 Rubber Tramp Art Community (RTAC)–An intentional community for nomadic artists/creative travelers. Members of the group meet to camp together, create art together, teach each other new skills, help each other, and spend time together as a community. So far, I’ve attended four RTRs. Rubber Tramp Rendezvous (RTR)–A winter gathering in Quartzsite, AZ for folks who live on the road (either full-timers or part-timers) or who want to live on the road. At the RTR there are seminars about living on the road and opportunities to meet people and hang out with friends. I’ve written quite a bit about my experiences at the RTR in 2015, 2016, 2017, and 2018. Also see Cheap RV Living for more info about the RTR. RV–Recreational vehicle. RVs include motor homes, 5th wheels, and travel trailers. *Snowbird–Someone who lives in cool places in the summer and warm places in the winter, traveling as the seasons change. Snowbirds can travel north to south or from low elevation to to high elevation and back again. Solo–Traveling alone, usually said in regards to a woman. The assumption that most women travel with men is often made, so a distinction is sometimes made when a women travels alone. I’ve never heard anyone asking a man if he is solo or hearing a man describe himself as solo. Sticks-n-bricks–A conventional home, although it doesn’t have to be made from wood and bricks. A sticks-n-bricks can be an apartment or a manufactured home, or a house made from adobe or stucco or straw-bale. A sticks-n-bricks isn’t mobile. Teardrop—a streamlined, compact, lightweight traveltrailer, which gets its name from its teardrop profile. They usually only have sleeping space for two adults and often have a basic kitchen in the rear. Toad–A vehicle towed behind an RV. I guess because the vehicles are towed, people started calling them toads. People in big motorhomes often pull a vehicle behind the motorhome so they can park their rig and use the smaller vehicle to drive around for errands and exploring. Tow vehicle–What one uses to tow one’s travel trailer. *Travel trailer (TT)–Travel trailers hook up to a hitch and are pulled by a tow vehicle. Travel trailers vary greatly in size. Most people use the travel trailer as living quarters and don’t live in the tow vehicle. During my time as a camp host, I cleaned this pit (or vault) toilet many times. *Vandweller–A person living in his/her van who wants to be there. 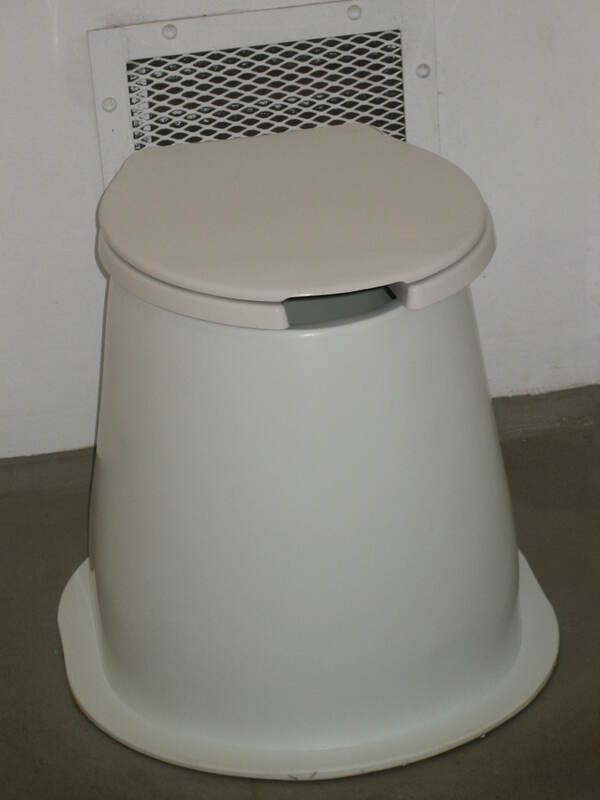 Vault (or pit) toilet–Non-flushing toilet sometimes found on public land; basically a tall plastic toilet set over a hole where the waste products sit until they are pumped out. *All or part of starred definitions come from How to Live in a Car, Van, or RV by Bob Wells. I highly recommend this book to anyone contemplating or starting life on the road. What lingo dealing with life on the road do you know that I have not included in this post? Please leave a comment with other terms you hear rubber tramps and van dwellers and RVers toss around. 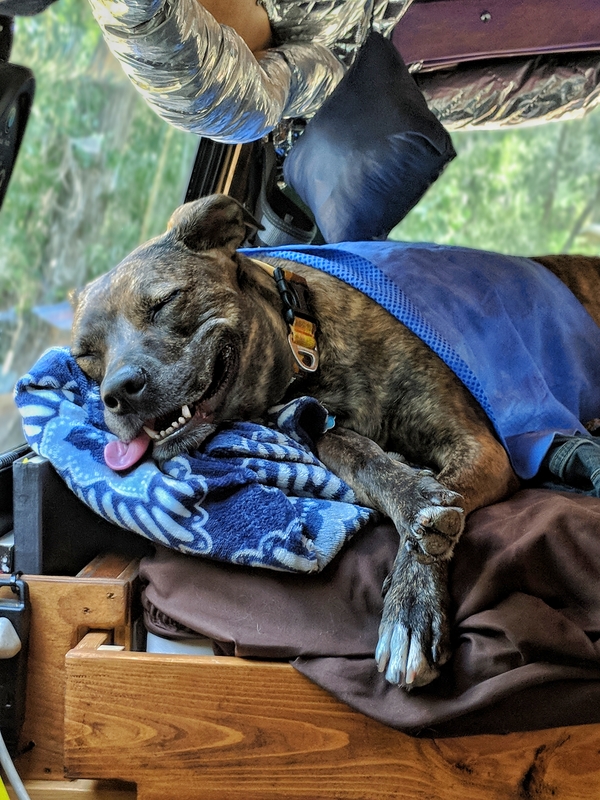 The dog days of summer are over, but at the Rubber Tramp Artist blog, we’re still sharing information about vandwelling with dogs. I was absolutely pleased when the good folks at Gnomad Home reached out to me with an offer to write a guest post I could share with my readers. I jumped at the chance, as I love a good guest post. I was especially pleased to find out Jayme and John had lots of experience vandewlling with pups. Their expertise fits right in with the content I want to share with my readers. Today Jayme and John tell you how they trained their doggies to share their van life. Whether you’re transitioning a house dog into a road dog or bringing a brand new pup into your rig, these training tips can help keep your nomadic pooch safe and happy. Once you make the jump from dreaming about vanlife to actually making it happen, all the big, scary steps you imagined seem to become easier and easier to manage. Selling your items stressed you out at first, but now you have no problem accepting $20 for that trinket your aunt gave you for your 13th birthday. Many of these transitions become more exciting than nerve-wracking, and mentally, you are more and more ready to just take off and hit the road. But of course, you can’t leave without your best furry friend! As it turns out, dogs need time to transition just as much as you do, and a well-trained dog makes for a very fun and easy life on the road. We are currently traveling around with our two pups Nymeria (3) and Delilah (7), but believe it or not, there was a time when the dogs in our van outnumbered the humans! We recently had to put down our girl Crow (#CrowtoriousDOG) who was just shy of 17. We gave her one hell of a final year out on the road, letting her stick her paws in all kinds of waters from the Atlantic to the Pacific! Needless to say, we know quite a bit about packing your pups and hitting the road. Here’s all of the tips and tricks that helped us get our domesticated dogs ready to live out in the wild! This is easily the most important step of them all. Maybe you can get your dog to sit and stay because they know you’re about to toss them a treat while you guys are comfortably hanging out in your living room.But do they know how to sit and stay in a large vehicle when there are other automobiles whizzing around and you are trying to unload the groceries from the shopping cart into your fridge without your dog taking off down the road after a squirrel that emerged from the bushes? That’s why honing these basic training skills is essential. 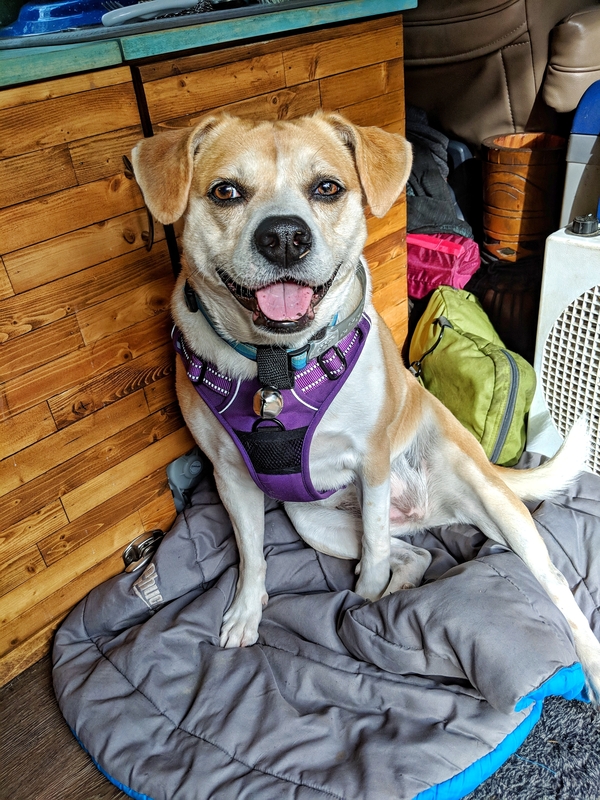 The main commands we drilled into our dogs’ heads before beginning our adventure were, “Stay,” “Come,” and “In the van.” We practiced these commands in multiple situations, not just in our backyard. We would go out to the woods to practice, we would begin training in the middle of dog parks…anytime we found ourselves in a situation that was new to them, we would find time for some training. Living on the road is rarely equivalent to hanging out in someone’s living room or fenced-in backyard. There are always distractions, noises, movements, creatures, and more going on around you at all times – that’s why it was very important to us that our dogs were familiar with responding as we expected under any circumstances. “Stay” is probably our most used command. This helps when the doors of the van are open, when they are about to get into something we want them to stay away from, if they see a creature we don’t want them getting involved with, and more. “Come” is perfect for when we allow them to run around off leash (which we do a lot of the time). We are always responsible about when and how we allow them to galavant off leash, which means we certainly don’t allow it in Walmart parking lots or National Parks. But there are some areas where we do trust them off leash: when we are on BLM (Bureau of Lang Management) land or we find ourselves in National Forests – and if the area and conditions seem acceptable to our standards – we let them free! They LOVE getting to explore all of the scents and different terrains we find ourselves in. It’s almost as if you can see heaven glowing in their eyes as they leap over fallen trees and jump at the sight of a bug they’ve never seen before. Unfortunately they can’t be off leash 24/7, and we need them to return to us from time to time. That’s when “Come” truly comes in handy. If a hiker walks near our spot and seems uneasy about the dogs, calling for them to return (and knowing that they will) makes for an easy pass on a potentially confrontational situation. Or if we are ready to roll to the next location, we just have to give a little holler and they come running back to the van, ready for the next adventure. “In the van” is just a great, simple command for them to know. Whether we want them to seek shelter from an incoming storm, get ready to hit the road, or whatever the case may be – if we tell them, “in the van,” they hop right on in! This is a practice that took time for us. We started training Nymeria to behave off leash when she was a puppy. There was a wooded area not too far from our house that not too many people frequented, and we were able to practice with her there. We would have her on a leash for a little bit, then let her off. Anytime she would come back to us we would make a very big deal about it, with excessive praise and even a few treats (we don’t normally give our dogs treats, but we do when we want something to be a BIG deal). When we took in Delilah, she was a Stage Five RUNNER! If a door was even slightly cracked, she would bust right on through it and be gone in a second. In the end, what it came down to was that she was just dying to explore and check out her surroundings. After we took her in, we let her off leash in the same area where we trained Nymeria as a puppy. Naturally, Deliliah took off, and it actually took about 15 minutes for her to return. Yes, it made us nervous,but this is part of the trust. Our dogs don’t want to be away from us forever – they just want to explore. When Delilah returned, we showered her with praise and treats! The second time we let her off leash, she still ran off to explore, but when we called her name, she immediately sprinted back to us, tail wagging and excited for a treat and some praise (granted, she is a very food driven creature!). Shortly after this second time of off-leash exploring, we were at John’s parents house. The front door opened, Delilah began to run out, and we called her to come back. She immediately stopped, turned around and sprinted back to us! Now, anytime we go into the woods and let her off leash, she tends to stay within ear shot. Delilah and Nymeria never adventure too far, we can typically see or hear them (they each have a bear bell on their collars, as well as lights that can be turned on to a solid or flashing light), and the second we call for them they happily trot on back to us. Enjoy Exploring the World with Your Pup! Establishing a strong and trusting relationship with your dog is essential for an easier life on the road with your furry bestie. Nothing about living a nomadic life is 100% easy, but these tips and tricks should help make the transition from domesticated life to living in the wild simpler for you and your four-legged buddies to handle! Jayme and John from Gnomad Home live out of their 1996 Chevy Express van they built into a tiny home with their two pups Nymeria (3) and Delilah (7). They now create free content for others wishing to pursue a lifestyle on the road whether it be full-time travel or part-time travel. They have been living nomadically since the Spring of 2017. Remember, you are responsible for yourself and your dog(s). Neither Blaize Sun nor Jayme and John from Gnomad Home are responsible for you or your pup(s). Use common sense depending on the regulations and conditions of your location. First two photos coutesy of the authors. Other imags courtesy of https://www.pexels.com/photo/landscape-clouds-mountain-dog-65867/ and https://www.pexels.com/photo/portrait-of-dog-248273/. I try not to sit around convincing myself that the world is a dangerous and scary place, but there can be perils when going from Point A to Point B. Throw in Points C and D (and Points E, F, and G) , and things can go wrong. You don’t have to be a rubber tramp to want (and need) to stay safe on the road. These tips are useful to anyone (long-distance commuters, friends on a road trip, a family driving a rental truck to a new home in a new state) who’ll be traveling more than a few miles around town. These tips may seem second nature to seasoned long-distance drivers, but they bear repeating as lessons to newbies and good reminders for those of us who have been living on the road for a while. Studies show that drivers under the influence of alcohol are unable to respond to stimuli as quickly as when they are sober. Due to your impaired comprehension and coordination, your reaction time may slow down by as much as 15 to 25 percent. Even if you don’t cause an accident, driving after drinking opens you to expenses and hassles if you get busted going through a DUI checkpoint or if you’re involved in a fender bender that wasn’t even your fault. Why risk it? #2 If you’re falling asleep at the wheel, pull over and take a nap. Your deadlines won’t matter if you’re dead! Find a rest area or parking lot and catch some zzzzz’s. If you simply can’t spend any time napping, roll down your window, chew gum, have a snack, and/or blast the radio and sing along. If you can spare a few minutes to pull over, stand up and stretch your legs, do some jumping jacks. If you’ve stopped at a gas station or restaurant, have some coffee or other caffeinated beverage and/or splash cold water on your face and wrists. But for real, if you’re sleepy, get some sleep. Falling asleep at the wheel can be a bad, bad thing for you, your passengers, and other vehicles (and the people in them) near you on the road. #3 Drive at the time of day that works best for you. A wise woman in a Facebook group for van women I’m in likes to drive from dark to light. She gets up early, before the sun comes up, and gets on the road. She drives until mid-afternoon, then finds her boondocking spot for the night. Getting set up while the sun is still out gives her plenty of time to cook and eat dinner and relax. She goes to bed early and gets up before the sun the next morning and starts out again. I hate, hate, hate driving at night, but I can deal with this dark to light method. I’m at my most alert in the morning, so getting an early start is good for me. Also, leaving a place I’m familiar with in the dark is easier for me than coming into a new place in the dark. Leaving a place I know in the dark means I’m not struggling quite so hard to read street signs or to decide where to turn. Of course, if you absolutely loathe mornings, don’t try to force yourself to get up and on the road early. My friend Gee loves to drive at night because the roads aren’t so crowded. She can cover hundreds of miles before the sun comes up because night driving works with her body’s rhythms. #4 Avoid rush hour. If I’m entering, leaving, or passing through a city, I try to get on the road at the right time to avoid the crush of people driving to or from work. If I don’t get started before rush hour, I just wait until the traffic has thinned out. I’d rather wait somewhere pleasant for a couple of hours instead of being stuck in traffic for the same amount of time. Rush hour traffic is not just irritating. More people on the road mean more road rage, more lousy drivers, and more chance of an accident. I’d rather avoid rush hour instead of subjecting myself to the danger of powering through. #5 Speaking of road rage…Don’t let road rage get the best of you. Sure, there are lots of bad drivers out there doing a lot of stupid thigs, but you don’t have to exacerbate the situation. Don’t try to retaliate against bad driving or teach people a lesson. Give other drivers the benefit of the doubt. Maybe some of the bad driving you see comes from new drivers or drivers new to the city you’re in. If you can’t control your anger, at least control your actions. Don’t let other people’s road rage influence your actions. Don’t drive unsafely just because someone else is doing so. Remember, when you’re behind the wheel, driving safely should be your top priority. Texting and talking on a mobile phone (without hands-free technology) are two distracting tasks that get a lot of media coverage, but I wonder how many accidents each year are caused by messing with music apps or checking driving directions, the two activities that distract me the most while driving. We’ve all been distracted by something while driving—spilled coffee, a crying baby, a song we hate on the radio, the dog wreaking havoc, a missed turn or exit, children bickering, an animated conversation with a passenger. Life happens while we’re driving, but we must learn to ignore anything that takes our attention from maneuvering our rig safely down the road. #7 Be aware of the other vehicles on the road around you. Notice if the drivers of other vehicles on the road are driving erratically; give those drivers (who may be drunk, sleepy, or otherwise distracted) a wide berth. Stay far back from them or pass quickly and get away from them. Slow down or move over for vehicles stopped on the shoulder, especially emergency or law enforcement vehicles. Hearing what’s happening outside your rig can enhance your awareness. Don’t wear headphones or blast your tunes so loudly that you drown out horns, sirens, and the early sounds of problems with your vehicle. #8 Watch out for animals on the road. At best, hitting an animal with your rig is going to leave you shook up and with a bloody mess to clean. At worst, your rig may be totally disabled after you collide with a critter. Your best bet is to not hit an animal in the first place. Pay attention to deer (or elk or moose) crossing signs. These signs are there because the area gets high activity of the animal pictured. If you see a sign with a cow on it or a sign proclaiming “open range,” be prepared to find bovines hanging out on the side of or in the road. These cows may get spooked and dart out in front of your vehicle, so drive slowly and be prepared to stop. Also be aware, if you hit a cow or calf in areas of open range, the rancher is not responsible for paying to repair to your vehicle. Instead, you are responsible for paying the rancher for the dead animal. Sometimes wild animals are not simply crossing a road, but hanging out in it. After hitting an elk in early 2013, I was told when it’s cold out, elk stand in the road because it’s warmer there. don’t slam on the brakes. Keep your lane position, and sound your horn while braking in a controlled manner. Sudden panic stops are not a good idea, as they could spook the animal, causing it to suddenly dart into the path of another vehicle. Remember, driving in a city won’t necessarily protect you from animals darting in front of your rig. Unsupervised pets may not know to avoid a street. Watch for animals whenever you’re driving. #9 Drive at a reasonable speed. Don’t drive so fast you can’t control your vehicle or stop quickly and safely in an emergency situation. You want to be able to stop in time if a pedestrian, bicyclist, pet, or wild animal darts out in front of you. Don’t drive so far below the speed limit that other cars are piled up behind you, especially if passing is difficult or prohibited. If you’re driving in the mountains and you are slower than the other traffic, use a turn out to get off the road so the vehicles behind you can pass. On the interstate stay in the right lane if you are going slower than other traffic. The left lane is for passing! After you’ve passed another vehicle, move back to the right. #10 Keep your vehicle is in good working order. Breaking down on the road can be quite dangerous. First, you’ll have to maneuver your malfunctioning vehicle out of traffic and onto the side of the road. Second, your disabled rig will be stuck on the side of the road while other vehicles zoom past you until you can get your rig running or the tow truck arrives. Do your best to avoid these dangers by doing all you can to ensure your rig is running smoothly. Gas up before you get on the road. Clean your windshield. Check the air pressure in your tires and adjust accordingly. While you’re dealing with your tires, make sure they are in good condition and be prepared for any tire disasters. Check your fluids and top off as needed. If you notice any problems, have them checked by a professional (or a knowledgeable amateur) right away. Glance at your gauges from time to time as you’re driving. Pull off as soon as you notice a problem so you have time to get off the road before things get really bad. Hopefully, these tips will help you stay safe while you’re on the road. Of course, this is all just advice. Blaize Sun takes no responsibility for what you chose to do or not do. You are responsible for your own self! Images courtesy of https://www.pexels.com/photo/road-sky-clouds-cloudy-215/, https://www.pexels.com/photo/aerial-photo-of-buildings-and-roads-681335/, and https://www.pexels.com/photo/speed-limit-25-signage-164524/. I do reuse plastic grocery store bags for garbage, but I don’t always want a plastic bag crinkling in the van. Also, a bag holding only a few light items sometimes gets caught by the wind and the contents are dumped on the floor. Even having to pick up a few items–especially if they’re nasty–after they’ve already been disposed of once can get be really annoying. I wanted a trash can, but I didn’t have room for even a small one meant for a bathroom. Something meant for a desktop might have worked, but I didn’t find anything adequately small at any thrift shop. The Man was eating a lot of oatmeal at the time, so he had to dispose of an empty oatmeal container every couple of weeks. Those containers were sturdy, had a lid, and wouldn’t take up too much space. I thought one would work great for my trash can needs, so I snagged the next one The Man emptied. Of course, a plain oatmeal container wasn’t good enough for me; I had to decorate it. 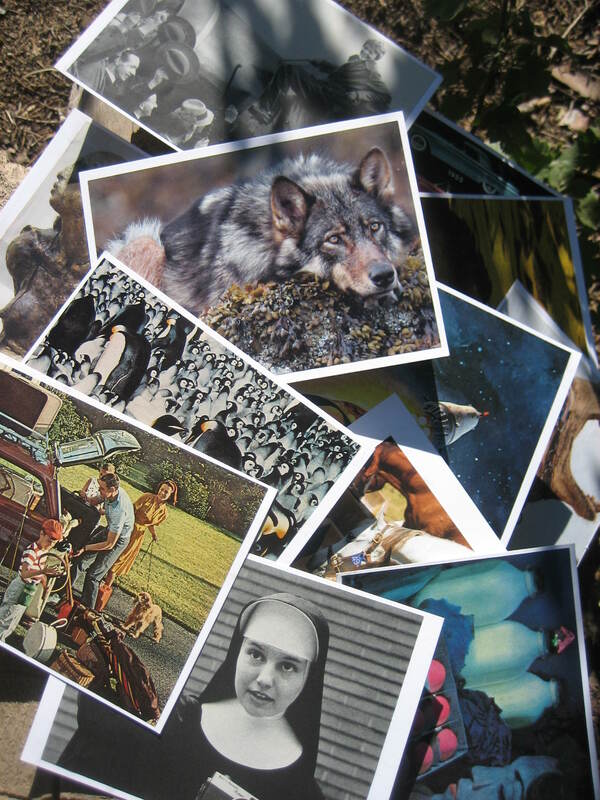 I grabbed my supplies: my accordion file stocked with images cut from magazines and catalogs and intented for collages, scissors, The Man’s spray adhesive, and peel & stick adhesive laminate. My final step was to cover the container with sticky-on-one-side clear peel & stick adhesive laminate. I brought this product at a fairly small Wal-Mart. I’d used clear Contact brand paper before, and found it would eventually peel off my project. Upon investigation of the products available at the Wal-Mart, I found the Contact brand clear product was labeled “repositionable” which means “non permant.” I found Duck Brand peel & stick laminate; it was labeled “permanent.” That’s what I used for this project, and I haven’t noticed any peeling. The clear sticky paper could be skipped, but it served two purposes on my project. First, it protects the cardboard the container is made from and the paper clippings glued to the cardboard. Second, the spray adhesive left sticky residue on some of the clippings, so the clear covering keeps the residue from attracting dirt and keeps me from touching stickiness whenever I touch the container. With about an hour’s time commitment, I used mostly items that would have otherwise gone to the dump to make something attractive and functional to enhance my van life. (The spray adhesive and protective clear film were investments; those supplies will be used for many future projects.) For pennies, I got a pretty little trash can in just the size I needed. 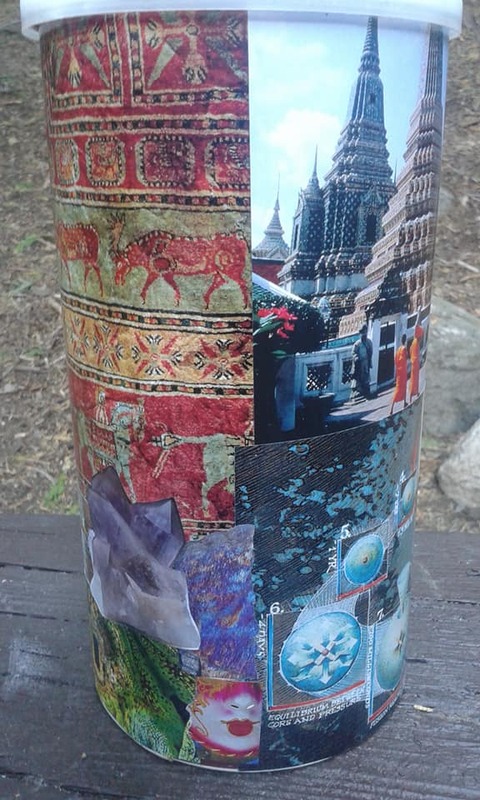 This photo shows the result of my garbage can project. I took the photos of my supplies and the end result. The photo of the Duck Brand peel & stick laminate is an affiliate link from Amazon. If you click on that link, I get a small advertising fee on anything you buy from Amazon during your shopping experience. Van life, while cheaper than traditional lifestyle, is still more expensive than I first thought it would be. One very real and somewhat harsh reality that came to light early in my van journeys, is the need for cold, hard cash. When I first set out, I had $500 saved as a cushion. I thought with the lack of a rent payment I would be able to go without a job for a couple of months. However, I was wrong. I realized pretty quickly I needed to pick up a job to feed myself as well as to buy gas to get us back to our campsite after each day of adventure. My partner had some experience with the van lifestyle, and he suggested that table waiting was a valuable skill for landing short term work. Since I had several months to prepare for life on the road, I took a job at Applebees to round out my food service experience and insure that I’d be able to find good gigs in the towns we planned to stay in. This strategy paid off very nicely when I was hired at a swanky joint to wait tables. This job covered all my expenses while working just a few hours per week. Best of all it left my days free to play in the mountains. My partner was also able to land a job in a restaurant as a host. Toward the end of our time in Colorado, when the seasonal work at the restaurant dried up, he picked up a short-term day job cutting down trees for fire mitigation. How easy it is to find a job depends on where you put down temporary roots. For example, it will be easier in a tourist town than in an unknown small town. Additionally, the economy of the area should be taken into consideration. I spent time living in Estes Park, CO, and it was quite easy to find a job. 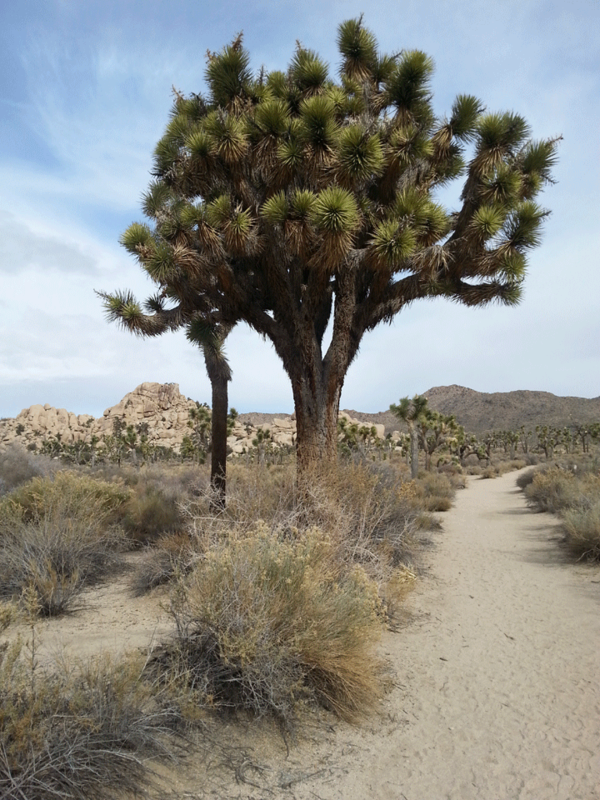 However, in Joshua Tree, California, a smaller, less traveled town, I could not find a job to save my life. But sometimes that is not possible, or that otherwise perfect job will require some daily travel. If you will be using some type of public transportation, try to get work near a bus or train stop. Another option is to plan to camp and work in an area that’s bicycle friendly. Even if you don’t normally pack a bike in your van, a used one can be acquired easily in most areas and then sold, given away or carried along to your next destination. If you hate working in a certain industry such as retail, fast food, ect. do not even give this type of business a second thought. I reached that point with the restaurant industry long ago. It took some effort, but as I upped my standards for the type of work I was willing to do, I started getting better jobs. Craigslist is a great place to find some temporary work. My partner used to find odd jobs on Craigslist regularly. He found jobs as a mover, a construction worker, and a maintenance man. Sometimes, a small job on Craigslist leads to longtime work. Other times, you want to run the opposite direction. Either way, it’s often tax-free money, and a networking opportunity! Keep in mind that most business owners don’t fill positions via ads, but by networking with people they already know. One of the absolute best ways to network for any job is to decide on the industry you want to work in and meet people who are already working there. This is not always easy to do on the road, but it can be done. Others you meet at the camp area. Find the folks who’re up early and heading to work and pick their brains. On the trail or other outdoor activities. Strike up conversations and ask folks about how they’re supporting their travel passions. Local coffee shops, bars and restaurants. Talk to the barista, bartender and waitstaff and strike up conversations with other patron. Go to the types of businesses where you want to work, and meet people who already work there. For example if you want to pick up landscaping work, get to know the local nursery and plant supply. Into horses? Head to the tac shop. Willing to walk dogs? Go to local pet stores and veterinarians and introduce yourself. Comfortable with computer hardware? You get the idea. Meetup.com groups related to your industry. Make friends in the industry you want work in. I’m not advocating for outright lying…however, it is best to avoid telling your potential employer you live in a van. If you must say something, do it after you are hired. I personally did not tell my employer I lived in a van until I had to. This was something my boyfriend warned against, based on some bad experiences, so I listened. If asked about your living situation, a good response is to say you are camping/staying at a friend’s place until you find a rental. If you know someone in the town, this conversation can be avoided by using their address on the application and for mail. Showering before your interview should be among the first things on your mind. You can find showers at local outfitters, gyms, and laundromats. At the very least the confidence boost will help with the interview. This one will be obvious to most of you, but… my younger self had to learn it the hard way, so I’ll share this misstep. While it may be tempting to bring in your peeps for support, it will backfire. Even bringing your crew just to wait inside (or even within eye sight) is a bad move because it rings immature. Honestly, it is just as bad as bringing your parent along! Always dress nicely for interviews. If you don’t have any business or business casual clothing with you, try to bum from friends or buy something from a thrift shop. I know living in a van does not always jibe with dressing to impress, primarily because storing nice clothing takes up space. Obviously if the job requires decent clothes you’ll have to buy them anyway. If not, get something decent for interviews and then donate them once hired. Point is, don’t have “I live in a van” written all over yourself when you show up for an interview. The most important thing for most rubber tramps is finding a schedule that works with their lifestyle. Finding a place that allows for flexibility is important. 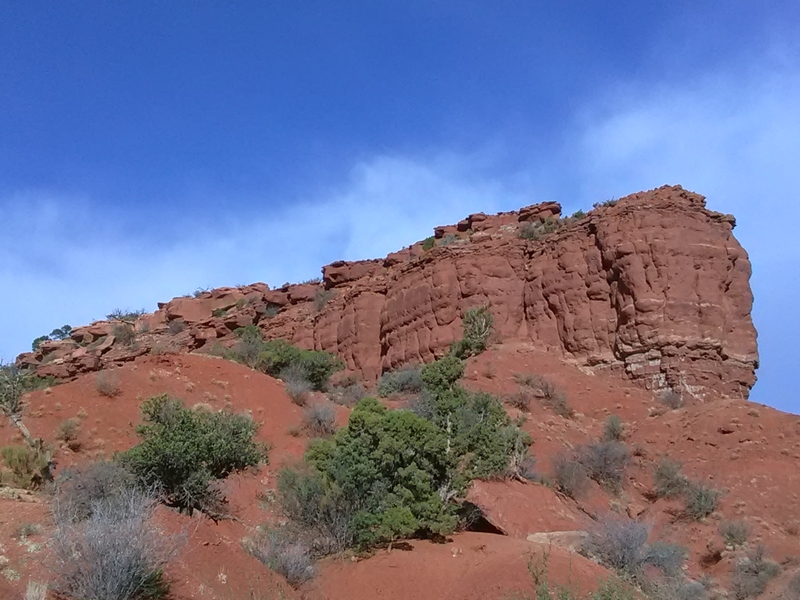 When I lived in Colorado, I found a place that would work around my climbing schedule. When you go in, feel out the management and try to work out the best possible schedule for you. You may need to interview at more than one place, so don’t be afraid to tell a potential employer you will think about their offer. I have found businesses near National or State Parks to be more accommodating. Always try to negotiate pay, no matter what industry. It won’t always work, especially with seasonal jobs. However, playing a bit of hardball can be worth your while. Once I was hired onto a position making $3 more than they offered, just because I asked. Of course this depends on your level of flexibility, expertise, the availability of other workers in the field you’re applying for and other factors. I would never suggest lying to an employer about how long you intend to stay in a position. I also feel there can be gray area here, such as with jobs that tend have a very high turnover rate, where an early exit can be easily justified and even expected. During the interview the fast food manager is going to talk about career opportunities and long term benefits, but no one (not even that manager) is going to be surprised when you leave that job within 3 months. Of course in any tourist town, how long you stay will resolve itself as much of the available work will be short term. As for non-seasonal jobs where the expectation is that you stay long term, you’ll have to decide for yourself if you want to fib about your long-term intentions. Ask yourself how this will impact your future work in the particular industry. Obviously, if you’re applying in a professional situation where your long-term reputation is at stake, consider your actions carefully. Will the stress of maintaining a lie be worth a few bucks? Did you land the interview through a relationship that will be damaged if you don’t stick around? Would it make more sense to be honest and risk not getting the gig, in hopes the employer will hire you anyway? Consider my partner’s advice from the top of this article. Acquire a skill that pays well and is appropriate for short-term, seasonal, or gig work. A girlfriend and fellow van lifer, upon arrival in any town, peppers local bulletin boards, power poles, and Craigslist with fliers for pet sitting and dog walking. She’s got a list of referrals as long as your arm and she gets repeat business whenever she visits those towns. No fibbing required. Another friend is a computer hardware wizard. He can build you a gaming box that will blow your mind, assemble a network for a small business or repair your laptop, and his skills are applicable anywhere he lands. The formula here is to have a skill that pays well, is in reasonably high demand, plus your willingness and ability to promote yourself when you need work. I’m not saying you should starve, or even miss out on road adventures to avoid lying to an employer here and there, but do some careful thinking and planning to set yourself up for the best possible work life while van traveling. We’d love to hear your thoughts on finding seasonal work as a campervan traveler, and we’re more than happy to answer any questions you may have. Please drop your comments or questions below and we’ll do our best to answer. When she’s not writing guest posts about van life, Veronica Cavanaugh from VanSage.com is camping, backpacking, or planning her next outdoor adventure. She also enjoys watching old movies and writing poetry. 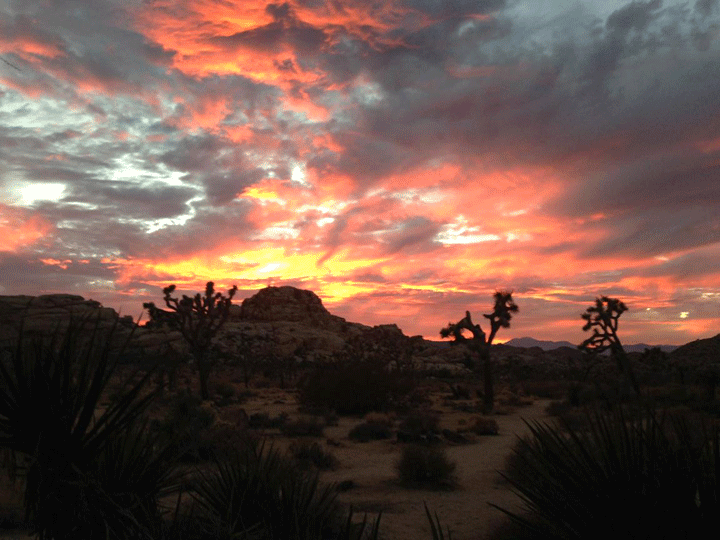 Photos from Joshua Tree National Park courtesy of the author. Someone tried to get into my van. It was a night like any other in the Forest Service campground where The Man and I live while working at the mercantile. We’d had the day off, but we’d come back from Babylon early in the afternoon. I’d been cleaning the van all evening and was exhausted. I was looking forward to a good night’s sleep and more free time the next day, which we also had off from our jobs. It was nearly dark when I left The Man in his tent and went to the van for the night. I read for a while, but soon I could barely keep my eyes open, so I turned off my Luci light and promptly fell asleep. I woke up…or was I already awake? I heard someone try to open either the passenger door or the side door closest to my bed. I distinctly heard the soft rattle the door handles make when they’re locked and someone tries to use them to open the door. I’m a door locker. That’s how I grew up. My family locked the doors to the outside world when we were in the house. The Man is not a door locker. He doesn’t believe in living in fear. Sometimes we have conflict because he wants something from inside the van but can’t get in because I’ve locked the doors and he’s left his key in the tent. When he and the dog were sleeping in the van with me, I became more casual about locking the doors. Although there’s probably less of a chance of someone trying to steal something way up in our campground on the mountain, now that I’m sleeping alone, I’ve gotten back in the habit of locking my doors at night. My first thought upon hearing the rattle of the door handle was that The Man had forgotten something in the van (his phone, his water bottle, his coat) and had come to get it. So I was surprised he didn’t say anything when he found the door locked. (He has no qualms about waking me if he wants to get into the van.) When there was no complaint in response to the locked door, I called out, Yes? or What? or something along those lines. I took this photo of the campground restrooms. Of course, the campground looks quite different at night. I received no answer, but I heard footsteps next to the van. When the person came around the back of the van (I thought maybe The Man, was going to ask me to hand him my keys through a back window), I called out again, but received no response. I heard the footsteps moved to the nearby pit toilet, then I heard the distinct rattle of the toilet paper roll being moved on its holder. I never felt afraid. I thought The Man had gotten up to use the restroom, tried to get into the van and found the doors locked, then left, maybe in a snit or maybe because he was having a restroom emergency. I figured in the morning I’d find out it had been him I’d heard. I fell back to sleep right away. I woke up again around ten minutes to five and started working on a hat I’d begun the day before. Not long after I awoke, The Man walked up to the van, and I let him in. Di you try to get in the van last night? I asked him. He said he hadn’t. I chalked it up to him not taking me seriously, but while we were getting ready to head out to the post office and he asked if I really thought someone had tried to get into the van. I said yes, I really thought someone had tried to get in the van. Then I remembered something else: there had been no flashlight. The Man never leaves his tent at night without his headlamp. The moon can be full and I’ve got plenty of light to find my way from his tent to my van, but he uses his headlamp. If The Man had tried to get into the van during the night, he would have shined his light through the uncovered side windows. I think whoever tried to get in assumed there was no one in the van. Most people with a tent set up on a campsite would be sleeping in the tent, not in the vehicle. The intruder must have been quite surprised to hear me start talking from inside the van. There were campers on only two other sites that night, and the camp host was sleeping elsewhere on his night off. The Man went up to the fellow on a site on the other side of the campground. The guy tried to ignore him when The Man said good morning. The guy seemed nervous when The Man told him someone had tried to get into our vehicle the night before. The Man advised him to be careful about leaving his belongings out. Later, when the campers on our side of the campground emerged from their tent, The Man talked to them too. The fellow on that site said, Good morning! How ya doin’? and shook The Man’s hand. The Man told him the same thing about someone trying to get into our vehicle and being careful about his belongings. That fellow said he’d heard footsteps near his tent during the night. Who tried to get inside my van? I can’t say with certainty, but whoever it was got the message that we knew what s/he had been up to. I stayed behind to guard camp while The Man went to the post office, but no one came around our site. I’ve been making sure to lock my doors when I go to bed at night, and The Man has stopped giving me a hard time when the locked doors keep him out of the van. 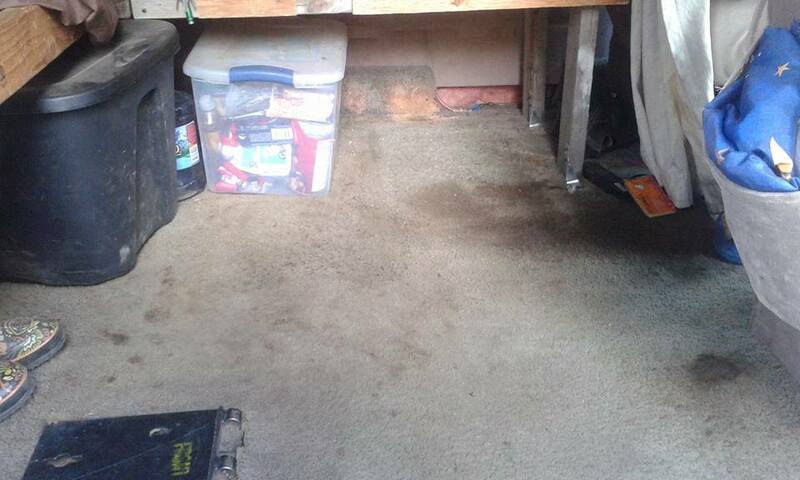 This photo shows my van’s dirty, stained carpet. It also shows the metal plate in the floor (lower left corner). lived in my van home. I’ve used a series of rugs on the floor to try to hide the dirt and stains, but that typically meant I had a dirty rug sitting on top of a dirty carpet. Also I regularly spill water on the floor, and the water soaks into the carpet and leaves a wet spot which I invariably step in. Yuck! Another problem I had with my floor was the large metal plates left behind when the seats were removed. The plates are a little higher than the floor itself, and let me tell you, it hurts to bring a knee or foot down hard on them, especially on a corner or an edge. There’s no easy way to remove the plates, so I’d been living gingerly with them since 2014. In the back of my mind, I’d been searching for a solution. First, Coyote Sue told me about some flooring she bought at Walmart for her RV. The pieces snap together, she said, and look like wood grain. She put the flooring down right on top of her shag carpet. Then I saw a “winter camping life hacks” clickbait article on Facebook. Most of the tips I already knew (put a plastic water bottle filled with hot water at the food of your sleeping bag before going to bed) or didn’t apply to van life, but the last tip caught my attention. It suggested bringing the brightly colored foam squares most commonly seen in children’s play areas to cover the floor of the tent. Brilliant! Not only would the foam on the floor feel cushy, it would help insulate the tent, and any melted snow puddles could be easily wiped away. I wondered if something similar would work in my van. The next time I went to Babylon, I checked at Wal-Mart. Unfortunately, the Walmart in that town is the second worst I’ve ever been in. I couldn’t find anything like Coyote Sue had described, and the foam squares offered in the toy department, while nicely colorful, were very thin and had pop-out letters I suspected would lead to nothing but grief. I decided to try Walmart.com. 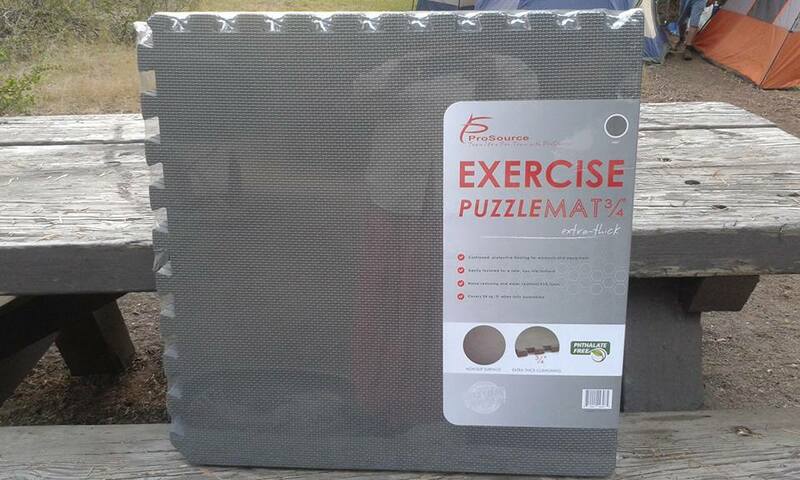 This photo shows the exercise puzzle mats I bought. I did a search with key words I no longer remember. Several results popped up, including flooring intended for exercise spaces. That stuff seemed perfect. I chose the extra-thick, 3/4″ squares because I wanted as much padding as possible over the metal plates. I had three choices of color–black, grey, and bright blue. Part of me really wanted the cheerfulness factor of a bright blue floor, but a more practical part of me decided grey flooring would show less dirt and would probably be easier to keep looking clean. This photo shows my nice, new, clean flooring that only took a few minutes to install. The flooring I bought was manufactured by ProSource and is called “excercise puzzle mat.” It has a non-slip surface and is extra-thick (3/4″) and phthalate free. It’s made from water-resistant EVA foam. I paid around $30 for six squares, which covers 24 square feet. 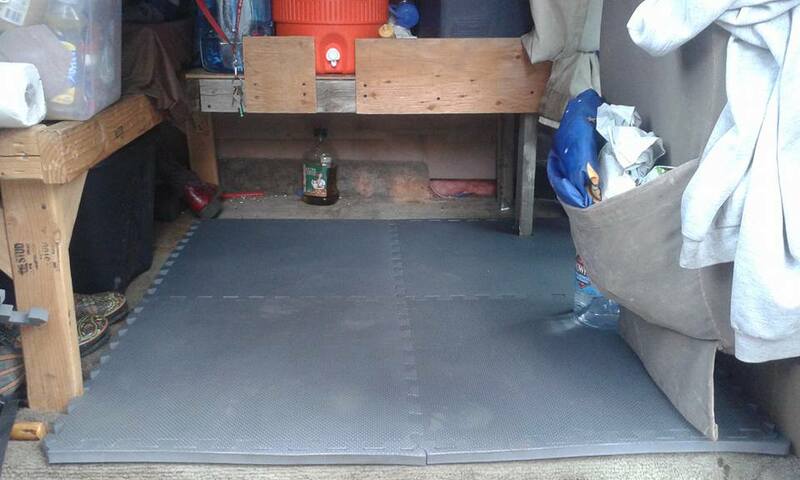 I used five squares to cover the portion of open space in my van, as well as the area between my two front seats. I’ll probably buy another six pack to cover the rest of the floor when I reconfigure and downsize my bed. As soon as I got the flooring down, I couldn’t believe it had taken me so long to figure out this solution. The metal plates are completey covered and padded. I can bang my knee on the floor where they are all day long with no pain. When I spill water, I can wipe it right up, and dirt tracked in is easily swept out. In about fifteen minutes, the interior of my van became infinitely more comfortable and better looking with ProSource exercise puzzle mats. ProSource 3/4″ puzzle mats are available on the ProSource website, at Walmart.com, and on Amazon.com. I took the photos in this post, except for this last one, which is an Amazon link. Here it is August, and I haven’t yet published a report on January’s Rubber Tramp Rendezvous (RTR). Better late than never? There were a lot of people in the RTR section of Scaddan Wash in January 2017. I never did a count of my own, but I heard reports of upwards of 600 people there. I don’t know how anyone was able to arrive at a figure. Were rigs counted? If yes, how did the counter know how many people were staying in each rig? When was the counting (of rigs or people) done? People and rigs came and went througout the entire time the RTR was underway. Folks were here today, gone tomorrow, back on Wednesday. I don’t know how an accurate count could be made with all of that coming and going. In any case, there were a lot of people in the RTR area, way more than when I attended in 2015 or 2016. There were also more people there this time in fancy, shiny, expensive rigs. I wondered if those people had missed the tramp part of the rendezvous or the cheap in the name of the Cheap RV Living website. Mostly, I wondered what the folks with money were getting out of a gathering where people learn how to stretch their precious few dollars in order to live a life of freedom. I guess learning how to find free public land on which to boondock is the same whether one’s living in a 90s era converted cargo van or a brand new Dodge Sprinter. So many people arrived early, there was demand for a seminar before the Rendezvous had officially begun. I sat through the beginning of that one. It consisted mostly of folks who’d never attended the RTR asking questions, and the organizer of the event saying those questions would be answered at a seminar held later in the gathering. After a while, I got tired of hearing questions I knew the answers to not being answered, so I grabbed my chair and left. I did attend the official Welcome to Quartzsite seminar. I don’t think I learned anything new. The seminar seating was definitely crowded that morning; I’d guess there were a couple hundred people there, but I’m not so good at estimating attendance. Again, people mostly seemed to be newcomers. Although I didn’t attend any other seminars, I did attend the two women’s meetings. Both of those meetings were also crowded. At the first one, the facilitator offered a list of questions each woman could answer by way of introduction. During the explanation of how the introductions would work, the facilitator instructed us to limit our intros to two sentences so everyone would get to speak during the meeting’s two-hour time frame. Most women were able to limit themselves, but others went on for paragraph after paragraph. Some ramblers even seemed offended when the facilitator gently reminded them of the two sentence limit. I wondered why the longwinded women thought they were more important than the rest of us who had complied with the two-sentence limit. Did they really think the rest of us wanted to sit and listen to them drone on and on about themselves? I, for one, did not. When I arrived the next week for the second women’s meeting, I was shocked to see a documentary film crew setting up to record the discussion. I was astounded to find most of the women in attendance had no objection to being filmed. I said I did not want to be filmed and offered to leave rather than cause a problem, but the woman doing the filming said she’d turn off the camera and sound recording equipment whenever I spoke. Despite her offer (which I believe was made in good faith), I mostly remained silent and kept my head down throughout the meeting. It was probably my last women’s meeting in an RTR context. The new gals tend to want to discuss things I feel like I’ve already figured out–how to go to the bathroom in the van, how to feel safe, how to keep from feeling lonely. I’m not sure what things I don’t know about that I need to talk about in a women-only group, but I know we’ll never get there if we have to talk about elimination and personal safety every year. Also, if the meetings are being recorded and I don’t want to be recorded, what am I contributing while sitting there silently with my head down? I was primarily at the RTR to promote my book Confessions of a Work Camper: Tales from the Woods. I feel like my sucess in this endeavor was limited at best. Coyote Sue and I shared billing at a late afternoon seminar. She was to talk about selling on Ebay while on the road, and I was to talk about being a camp host and to read from my book. We got rained out. We postponed the seminar for later in the evening. We were finally able to give our presentations to a small group before the sun went down. Everyone in attendance listened politely when I read, but I think most of the folks there wanted to hear what Coyote Sue had to say. My main reading, the one I’d promoted throughout the RTR, was a huge disappointment. Only a handful of people attended, most of them people I already knew. Again, people were attentive, and they laughed in the right places, but since I’d been hoping for a crowd, seeing less than a dozen people in the audience made me feel a little sad. I sold some copies of the book at the RTR, but I barely made a dent in the 100 copies I’d had printed. Perhaps I should have dreamed smaller. Because I was trying to promote my book, I’d set up camp near the main gathering spot. I was close to the free pile and close enough to pop in at morning announcement to mention my book, hats, etc for sale. This proximity to all the action meant my privacy was often invaded, especially, it seemed, as I was trying to cook dinner in the evening. I spent quite a bit of time feeling I had nowhere to hide. Honestly, I don’t mind answering questions (even the same question for the 10th time) but maybe don’t try to interrogate me when I’m obviously busy. 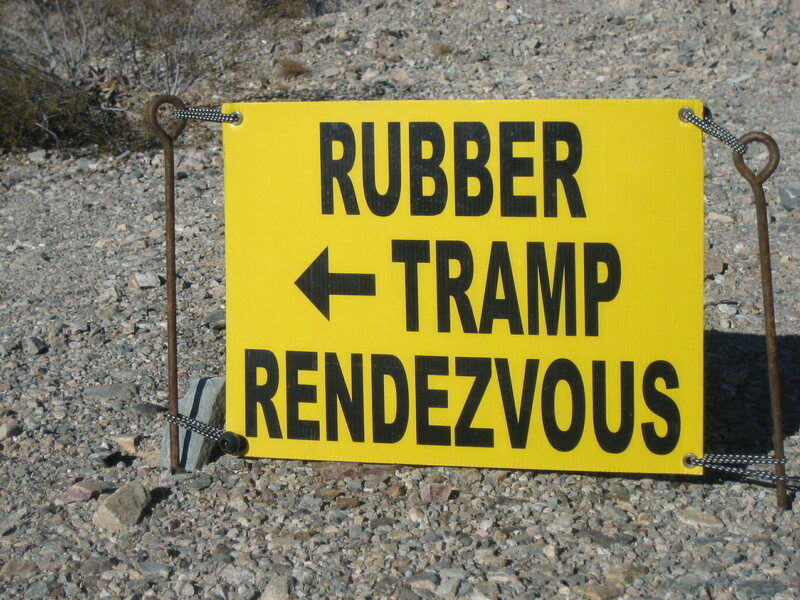 I don’t know if there’s another Rubber Tramp Rendezvous in my future. I don’t know where I’ll be in January 2018. Also, I don’t know if I can learn anything new from the RTR. If I go to another RTR, it will be mostly to visit with friends. If I do go to another RTR, I expect there will be a lot of people there. Folks can’t expect a free event to be promoted far and wide on the internet and not get crowded. If I attend another RTR, I’m going to park away from the main gathering areas, on the outskirts, where I can cook without an audience. I took the photo in this post. You can read about my experiences at past Rubber Tramp Rendezvous: the first week in 2015, the second week in 2015, some thoughts on the 2015 RTR, 2016, the first women’s meeting in 2015, the second women’s meeting in 2015, the free pile at the RTR, and Burning Van.